Hilda Paredes' Señales - Homenaje a Jonathan Harvey is a single movement violin concerto written as a tribute to Jonathan Harvey. 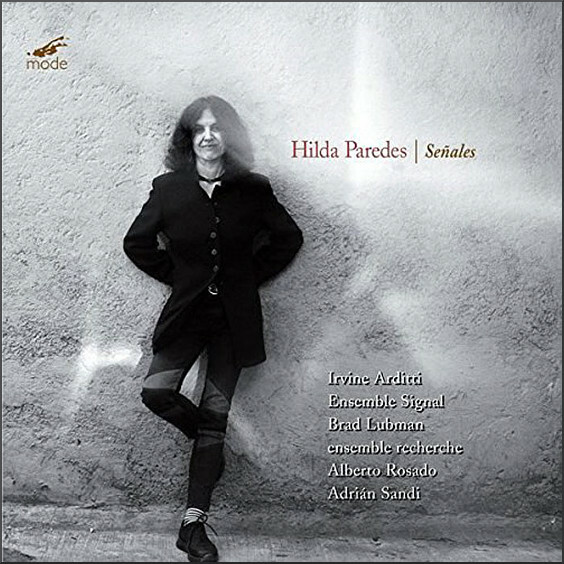 In the premiere recording seen above it is played by Hilda Paredes' husband Irvine Arditti and Ensemble Signal. With his eponymous quartet Irvine Arditti made the definitive recording of Jonathan Harvey's quartets, and Señales contains two quotations from the fourth of those quartets.. An earlier Overgrown Path photo essay juxtaposed images of the Dashang Kagyu Ling - Temple of a Thousand Buddhas in La Boulaye, France with reflections on Jonathan Harvey's quartets. Buddhism was a major influence on Jonathan's life and music, and listening to Hilda Paredes' homage reminded me of this teaching by the Thai Forest bhikku Ajahn Sucitto recorded in the second volume chronicling his pilgrimage to the Buddhist holy places of India. There is a kind of learning when we have the humility to recognise that really the learning point is where we go to the edge of where we know and where we control. And the nobility of our life, the nobility of our purpose, the aspiration of life says 'keep going past the area where you can't control it anymore and trust'. And for me this is the heart of devotion. That is not a surrender of responsibility but a profound recognition of what the responsibility of this being is - to live in accordance with Truth, to honour Truth and trust the truth of our live as it is. My social media accounts are deleted. But new posts are available via RSS/email by entering your email address in the right-hand sidebar. Any copyrighted material is included for critical analysis, and will be removed at the request of copyright owner(s).